What do basketball star Sam Dekker and the Milwaukee Brewers have in common besides the obvious Wisconsin connection? Both are hosting youth sports camps in the coming months. 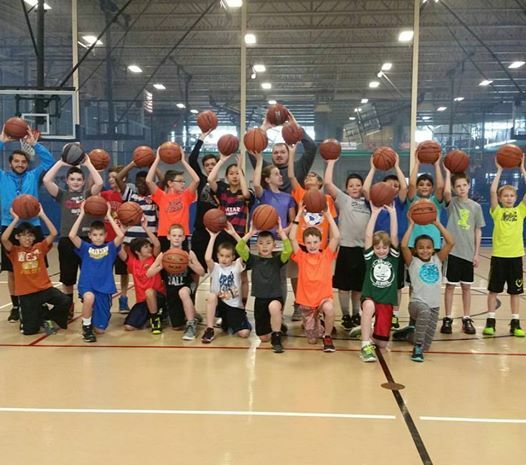 In this post I’m throwing out nine benefits of camps geared toward youngsters and a few tips for those who haven’t had any exposure to these camps. A couple disclaimers before I dig in: Your mileage may vary. There are probably other benefits that I haven’t listed – and some of the ones I do have could potentially fall under a different category. I also realize that for every pro camp reason I’ve given, someone probably has a reason not to allow their child to participate. I get that. Finally, since I’m based in Wisconsin, the camps I mentioned in the first paragraph and link to at the end of this post are local to me – and ones I’m familiar with. “Our events are centered around athletics, but each event has a component in which YSportz, the player and staff will engage the youth in discussions on the importance of education, health, wellness, and making good decisions. Physical – Improve physical performance in the sport. Camps focus on the players working on important fundamentals. A 2015 basketball camp that I researched promised skills would be dribbling, passing, shooting, catching, footwork, ball handling and more! This of course is just a sample of what an attendee might experience in a camp. Mental – Camp visitors understand the mental toughness required to succeed – not just on the court, but in life. Generally studies have shown that deeper strategic thinking can come from a child’s development of sports skills, strategy, and tactics. This in turn can lead to adult success in many non-sports areas. Teamwork – Camps work on teaching the team aspect that is critical for a winning team. It’s a great way to teach the importance of working together to reach a common goal. A sense of camaraderie is gained when children see their work pay off. The players also learn about the importance of sportsmanship. Motivation – Physical activity has been proven to impact motivation, focus, and moods. Children that spend consistent time engaging in physical activities (not just at camp) generally are motivated to do well in school and develop friendships – essential building blocks to future successes. Increase confidence – Not only do the players receive useful instruction that helps them gain confidence in their chosen sport – they also get to interact with the featured players. Most camps have autograph sessions and photo opportunities with the stars. Professionally created coaching and teaching drills – Youth learn techniques from those committed to teaching the best sports techniques possible. There are a number of tried and true camp curriculums out there – many of which were developed by players and coaches. Websites like Flexxcoach offer training programs designed for youth sports coaches by a team of Premier League Coaches. Any professional camp will have drills that are structured – so there isn’t a bunch of aimless running around. Many of the drills are based on what someone would encounter in a game and are designed to help accelerate development. Good for the community – players want to give back to the community they either grew up in or currently play in. 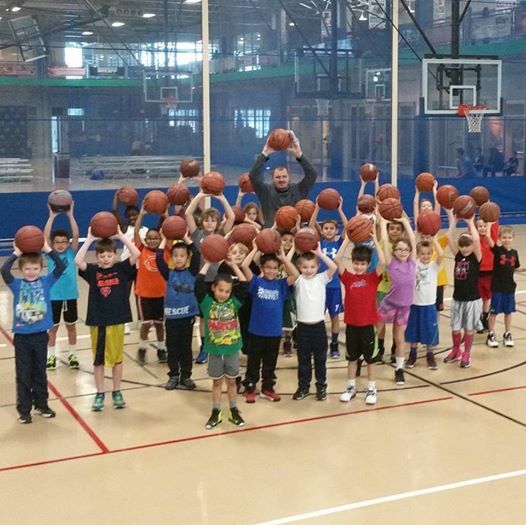 Chicago Bulls forward Doug McDermott hosted his first basketball camp in Omaha in 2015. By all accounts, it was a successful camp and McDermott himself had a great time. “It’s fun putting a smile on their faces – letting them have fun out here. That’s why I’m here; to give back to all those who supported me, so they mean a lot to me,” McDermott said. Jabari Parker of the Milwaukee Bucks also held a camp in 2015, appropriately called the “Jabari Parker Family Basketball Camp” because his coaching staff included his father, former NBA player Sonny Parker and coaches who have coached Jabari in the past. Parker and his coaches wound up playing the kids for fun after a couple days of instruction. Coming off a torn ACL injury, Parker had a lot of fun dancing around the participants and dunking. But in all seriousness, he spoke about his idol Juwan Howard telling him carrying on the torch with holding summer basketball camps. Parker said you never know who in the camp might be in a position to do the same someday. An experience that will be remembered for the rest of their lives – Camp can be a unique and emotional experience for a child as they play, work, and grow – plus spend time with a star player. This, plus all the points above, gives them a great memory, and perhaps something they can pass on to their own children one day. There are plenty of opportunities available in all sports. Just a quick search on Google for “Baseball Youth Camp” brings up everything from team camps to those started by former players such as Cal Ripken, Jr. I’d also recommend using words like “clinic” or “academy” in your search as those will often bring additional results. Try not to get stressed ahead of time over cost, as you’ll find a number of the camps are free – or the charge is based on multiple days of instruction. You also needn’t worry that your 5 year old is going to wind up mixed in with 12 year olds. Professionally run camps always group learners in by age/grade – not just because of skill levels, but because safety is a priority. However, the difficulty of the drills should match the ages of the learners. If your child is interested in a camp, always ask if more are planned! Many of the camps are scheduled at a convenient time (i.e. Spring Break, Winter Break, Summer vacation) that is consistent from year to year. Some of the camps offer ongoing off the court/field development, including online articles, newsletters, and other follow-up. A good example of additional content can be found on the USA Basketball website’s Off Court Training section. ***A huge shout out and thanks to Johnny Highland Jr. for inspiring me to dig deeper on this subject and write this post! ← Father and Son Milwaukee Brewers Connection – Eric Young and Eric Young Jr.
Camps like this impart useful physical and psychological skills to budding players. Children learn to play with different teammates and learn communication skills, skills to understand a fellow teammate who might not understand the language too. Such exposure is important if a child wants to play for bigger platforms. Thanks for explaining some benefits to a youth sports camp. It’s good to know that this is a good way to teach the kids the importance of working together. It probably also can help them learn good social skills as well and how to communicate with each other.